Who is the most talented rock guitarist of all time? It’s a title that’s divided critics over the years, and a category with some tough competition. Whether you’re looking for technical skill, new groundbreakers or creative flair, the Rock and Roll hall of fame is littered with talented guitarists – but only the best of the best make the cut in this list of the most talented rock guitarists of all time. Pioneer of punk rock Joe Strummer, who aptly renamed himself at the launch of his career, certainly earned his place among the greats. As the front man of the Clash, he ushered in a new era in British rock music and quickly became known for his experiments in mixing genres and incorporation of political messages in his lyrics. So influential was Strummer that even his instrument – a 1966 Fender Telecaster – has become a true rock ‘n’ roll icon. Hendrix so obviously belongs on this list that it almost doesn’t need saying – but it would be criminal not to. With just four years in the spotlight, Hendrix solidified his status as one of the – if not the – world’s most famous guitarists, and the Fender Stratocaster is now almost synonymous with his name. He was particularly famed for his innovation with the electric guitar, often credited with pioneering the use of feedback in rock music. Proving the extent of his legacy, Hendrix formed The Jimi Hendrix Experience in the 60s – a three-man group that toured to both critical and fan acclaim. To this day, Hendrix’s influence can be seen in everything from t-shirts to cover bands, books, even his own video games, online slot and exhibitions: the Rock and Roll Hall of Fame or his former London flat that is open as a museum since 2015. As a youngster, Eddie Van Halen harbored dreams of becoming first a pianist and later a drummer, but switched to guitar as a teenager – and we’re all glad he did. He went on to become one of the world’s most influential players as the lead guitarist of his eponymous band, Van Halen. He became famous for his use of tapping – but perhaps the most impressive thing about Van Halen’s wild success as a professional musician is that he achieved it despite never learning to read sheet music. Bruce Springsteen has always been well-known for his stage stamina, so it only makes sense that his legend has been so longstanding. 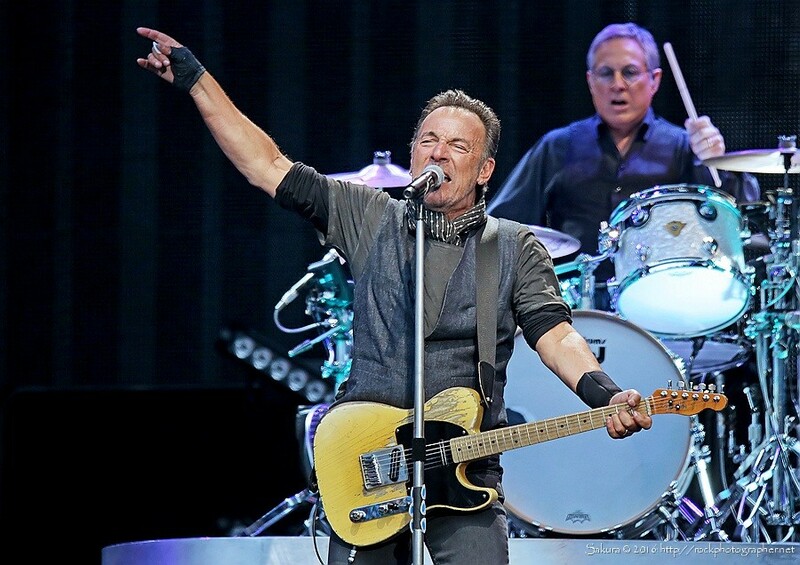 Since finding success with the E-Street Band in the 1970s, Springsteen has become a household name in American rock. While his more recent work has been more experimental, he made his name for his simple style that appealed to the masses, which while largely rock and roll also drew influences from other popular genres of the time, including jazz and soul music. The front man of legendary punk rock band The Stooges, James Williamson earned a name for himself for achieving that difficult balance between fiery passion and technical skill. As the star was a rock musician by night and engineer by day, it comes as no surprise that Williamson’s instruments are of great interest to his fans. His first electric guitar was a Fender Jaguar, although he became best known for his 1969 Gibson Les Paul Custom guitar. Eric Clapton is such an icon in the musical world that he has been inducted to the Rock ‘n’ Roll Hall of Fame not once, or twice, but three times. His blend of blues and rock-and-roll influences made waves in the music industry right from the start, and his solos quickly became iconic. Clapton is almost always included on the list of influences named by today’s guitarists, with everyone from Eddie Van Halen to John Mayer citing him as a source of inspiration. Chuck Berry is not only a legendary guitar player, but one of the founding fathers of rock and roll itself. He pioneered the use of guitar riffs in his playing, giving rock music one of its most iconic elements. As one of the earliest rock musicians, he drew much of his inspiration from blues music, and created a number of new techniques that borrowed the sound while adding the edge that would soon form an entirely new genre. David Gilmour made his name after joining the prog-rock band Pink Floyd in 1967 – although he later launched a solo career in order to centre the spotlight on his guitar skills. His solos are often noted for their technical skill as well as his signature use of note-bending. Gilmour is well-known for his wide range of top-range guitars, but is perhaps best known for playing a Fender Stratocaster with a 0001-serial number as well as for his novel use of steel guitars in his music.